A review of parking problems in the region has resulted in a number of recommendations for enforcement, signage and double yellow lines. The parking issues working group of Scottish Borders councillors spent more than a year carrying out surveys, researching the availability of parking in Borders towns, and investigating the cost of enforcement measures. The report highlights some of the problems motorists in the Borders face: “Having reviewed all the information, members of the working group have concluded that much of the comment made is based on perception or anecdotal evidence and the details provided to members in terms of number of parking spaces available is sufficient for most days in most towns. “Human behaviour is such that some people think it acceptable to park ‘just for a minute’ in an inappropriate place and once one person does so, others follow suit. Off-street car parks are often not used to their full extent if they are not in the immediate vicinity of people’s work or where they wish to shop. The working group has made six recommendations to the council, which were presented to Scottish Borders Council’s executive committee this week. 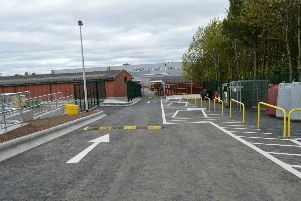 These are: a review of traffic regulation orders, so all towns have the same parking and waiting restrictions; new signage to long and short stay car parks; updating single and double-yellow line markings; a media campaign to encourage residents to ‘park fair’; new enforcement measures and funding; feasibility studies in towns to inform future infrastructure works. The recommendations will come at a cost, estimated at anything from £326,750 to £904,650. SBC’s service director for assets and infrastructure, Martin Joyce, advised councillors to accept all but one of the recommendations, as he believes enforcement should be addressed via the community action team (a Police Scotland and SBC joint venture). The working group’s report touches on this issue: “Enforcement of parking and waiting restrictions is seen as a continuing issue. “The misconception still remains that it was the council which had employed and then removed the traffic warden service, rather than Police Scotland. “The council investment in the police community action team may go some way to assisting with enforcement but as the team has only been in place since April 2018 it is too early to make a judgement on its effectiveness in terms of parking. “The council employs parking attendants to monitor and enforce its off-street car parks and they could be further deployed to monitor on-street parking and advise the police of areas of concern.